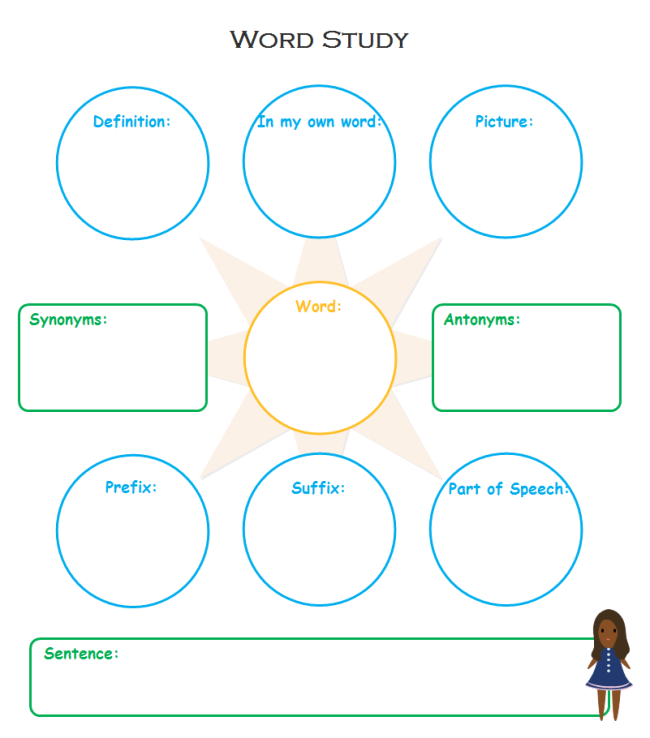 Description: This word study graphic organizer is fresh and practical. Many teachers love this template because it looks fresh and tidy. Now it's offered for free. If you don't like this design, there are more vocabulary graphic organizers to choose.